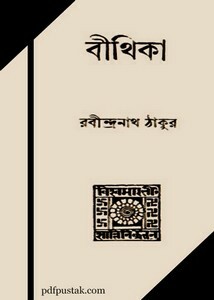 'Bithika' is a poem compilation book of Tagore. Rabindranath Tagore was a greatest poet of Bengal and also was a poet, novelist, musician, playwright, painter, story writer, essayist and philosopher. His ideology have been reflected in his diverse and creative works and through the establishment of educational institutions Visva-Bharati University. Today sharable book have a lot poetry collection of this author and published by Visva-Bharati.